Saturday’s defeat to Hearts dropped them to fourth spot and with Hibernian and Kilmarnock winning over the weekend, the race for the final European places in the Premiership has intensified. Should one of the top three win the Scottish Cup then fourth will be enough to qualify for the Europa League, however if the winner comes from outwith the top three then the cup holders will get the final European place. Aberdeen contest their Scottish Cup semi-final with Celtic next weekend at Hampden Park but have Motherwell at home tonight, in the first of seven games to seal their fate. Ferguson said: “The manager spoke to us yesterday and we spoke about the last push, if you want to call it, the seven games. They are huge games and we are just looking to go out and pick up as many points as we can to get that European spot. The gaffer said that is the aim and that has always been the club’s aim over the last few years. That is our aim to pick up as many points as we can and to get there. 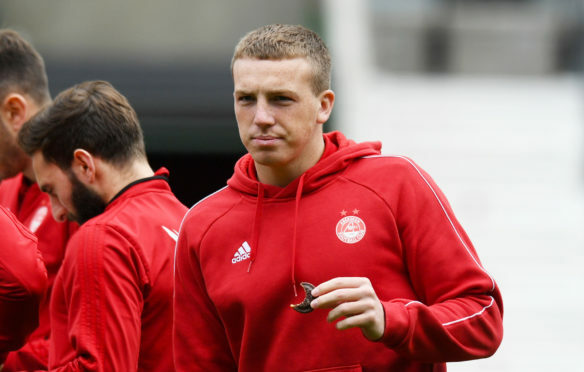 Aberdeen’s Lewis Ferguson scores his side’s equaliser against Burnley. 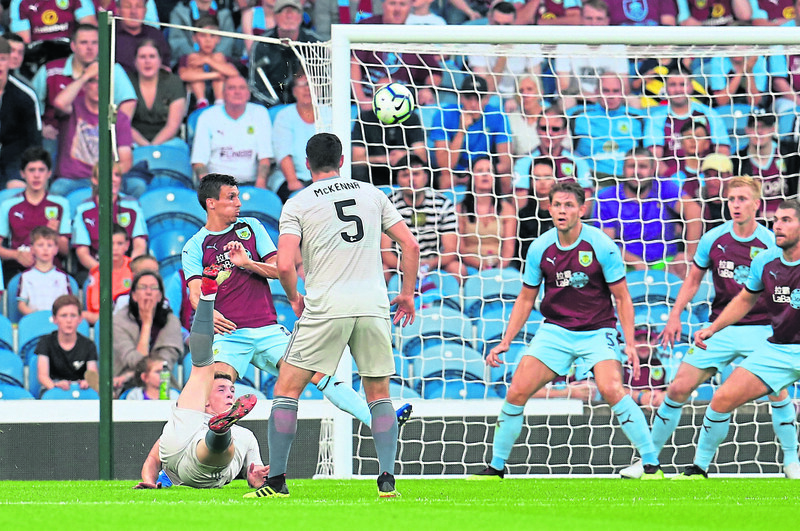 The teenager, who joined from Hamilton Accies last summer, made an immediate impact for the Dons with a memorable overhead kick in the Europa League tie at Burnley. It is the kind of opposition Ferguson wants to be testing himself against on a regular basis. He added: “There is no better feeling than playing in a European tie and you are testing yourself against the best players in Europe, so it can only make you a better player and every player wants to go out there to play against the best.